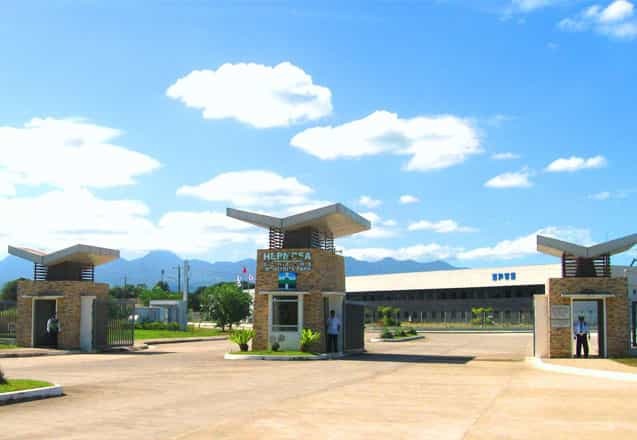 Hermosa Ecozone Industrial Park (HEIP) is a 162-hectares industrial estate component of a 478-hectare mixed-use property development in the province of Bataan by the Hermosa Ecozone Development Corporation. The project is a registered Special Economic Zone (Ecozone) under the Philippine Economic Zone Authority (PEZA). HEIP is strategically located right in the middle of the country’s growth corridor of Subic Bay Freeport Zone in Zambales and Clark Special Economic Zone in Pampanga. It is connected via spur road to Dinalupihan Interchange of the Subic–Clark–Tarlac Expressway (SCTEx)––the major link to Subic Bay Freeport Zone and Clark Special Economic Zone. Its proximity to Subic and Clark, which is only 12 kilometers and 35 kilometers away, respectively, is significant for companies that wish to avail of Subic International Seaport and Clark Diosdado Macapagal International Airport.